Australia has agreed to expand the number of seats available to Philippine carriers under a new air services agreement between the two countries. The new arrangements, which were struck during talks between the two nations in Canberra last week, will immediately increase the capacity entitlements for Philippines flag carriers to 8,300 seats per week, from 6,000 seats per week previously. There will be a further jump up in March 2016 to 9,300 seats per week for Philippines airlines operating to the four main Australian gateways of Brisbane, Melbourne, Perth and Sydney, Deputy Prime Minister and Minister for Infrastructure and Regional Development Warren Truss said in a statement on Monday. This represented an increase of 55 per cent. Truss said the Philippines was a expanding aviation market, having posted an average growth rate of 10.5 per cent over the past five years. “The new arrangements will allow this growth rate to continue for another four years, recognising the potential of Australia as a prime tourism destination within the Asia-Pacific region,” Truss said in a statement. Low-cost carrier Cebu Pacific Air has been lobbying for an increase in capacity in a bid to add more flights to Australia. Currently, Cebu flies up to five times a week between Manila and Sydney. It had previously expressed a desire to expand its service to daily, as well as begin flying to Melbourne. However, there was no spare capacity left under the previous arrangements, with the 6,000 seats a week split between it and Philippine Airlines. 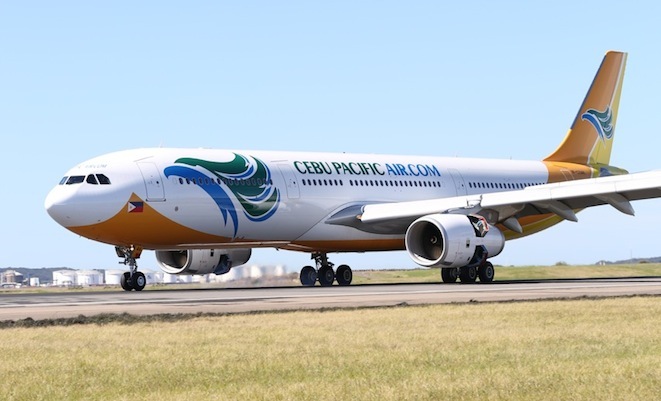 “In the first four months of operations, CEB’s low fares and direct, non-stop services significantly stimulated inbound traffic into the Philippines and Australia,” the general manager for Cebu’s long-haul division Alex Reyes said in a statement on April 24. Cebu, the Philippines’ largest carrier, launched its service to Sydney in September 2014 with 436-seat single-class A330-300s. A research note from CAPA – Centre for Aviation cautioned that maintaining a daily service from Manila to both Sydney and Melbourne would be challenging and “could prove overly ambitious” for Cebu. “The Philippines-Australia market is extremely seasonal and at least for the short to medium term is unlikely to support such a large amount of capacity (over 10,000 weekly one-way seats) except during the peak periods,” CAPA said in a research note dated April 25. The new air services agreement also increased available capacity from Australian carriers and offered them greater codeshare rights. “Importantly, the settled arrangements expand code sharing opportunities for Australian airlines, providing potential for our airlines to expand their global networks and connectivity through cooperative marketing arrangements with overseas partners,” Truss said. In addition to Cebu, Philippine Airlines flies from Manila to Sydney, Melbourne and Brisbane via Darwin. Among Australian carriers, Qantas has four times a week service between Manila and Sydney. Qantas’s low-cost subsidiary Jetstar previously flew from Darwin to Tokyo Narita via Manila.